Yumeko and Midari jumped right into the first risky bit of gambling betting their fingers against a guillotine cutting them off. The opening credits were fun, but I noticed quite a few recycled scenes from the first season. 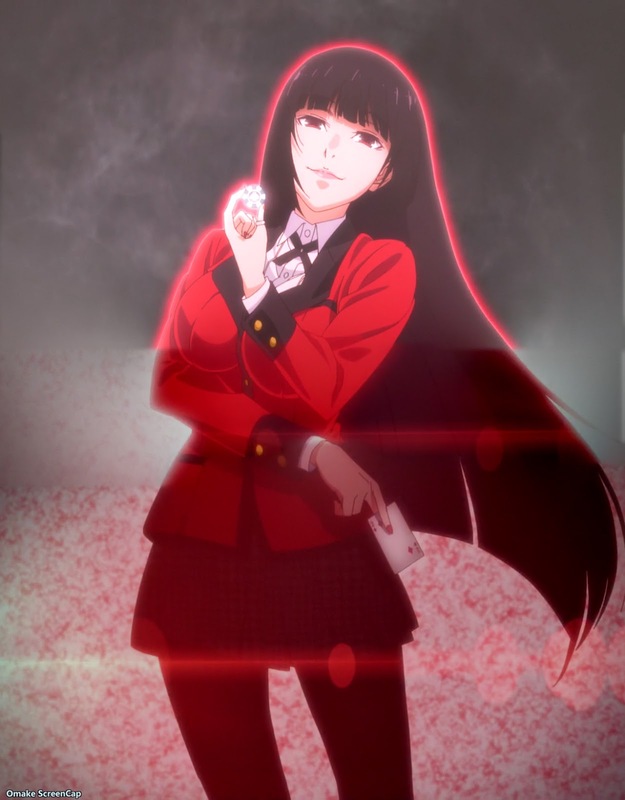 I mean, I did pay a lot of attention to Yumeko the last time around. The action starts off with a time jump to after a whole bunch of new student council members have been installed. 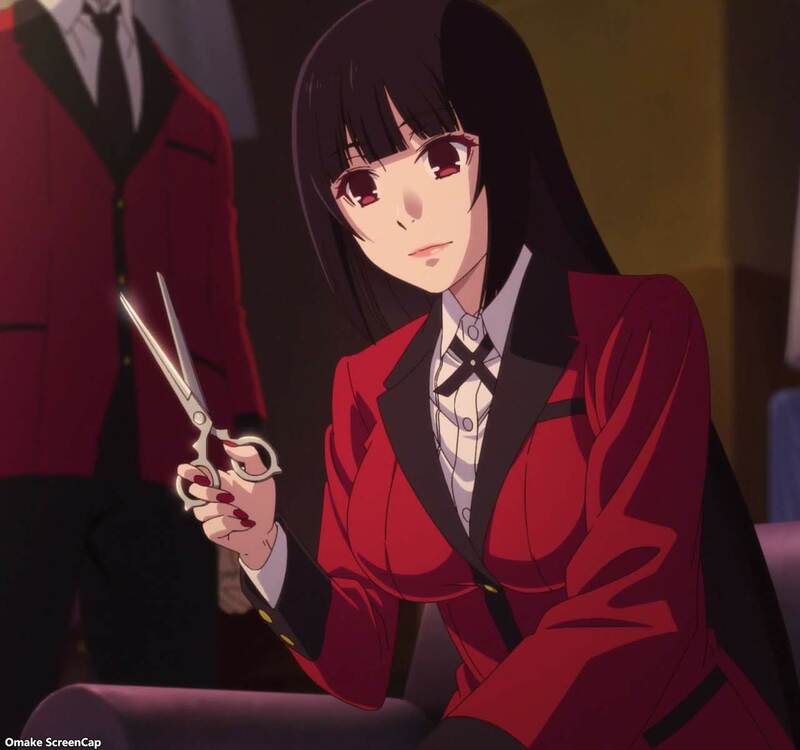 Yumeko did dismiss a bunch of them last season, so that's to be expected. The first one to take the brunt of Yumeko's gambling chaos was Erimi, who's proposed game was basically Russian Roulette with a finger cutting guillotine, except it was a bigger game of chicken because everyone would get penalized at the same time. 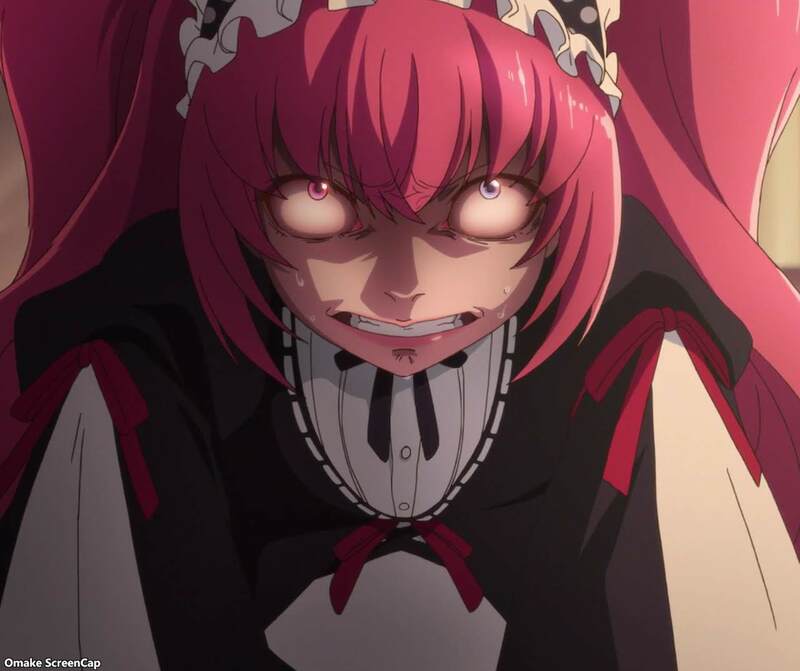 Obviously, Midari the masochist was going to eat this scenario up as Yumeko would get charged up by the stakes involved, scaring and frustrating Erimi. 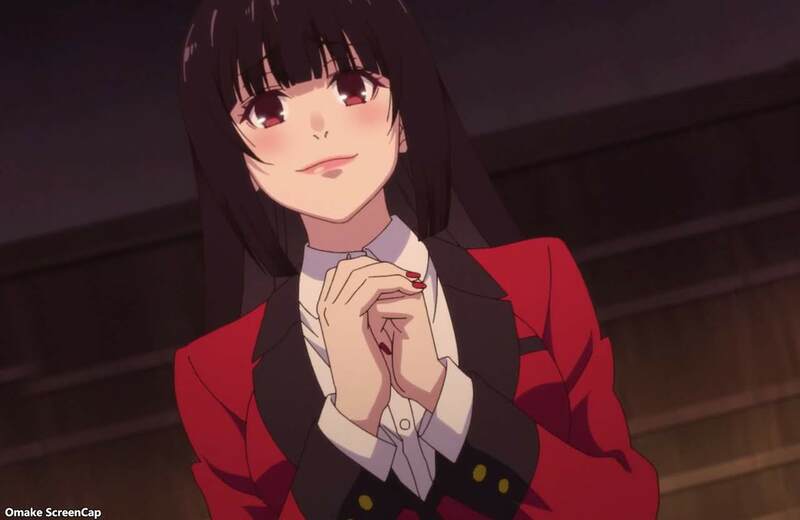 The end credits utilized a butterfly theme for Yumeko, and there were some more recycled animation from last season's opening and closing credits. 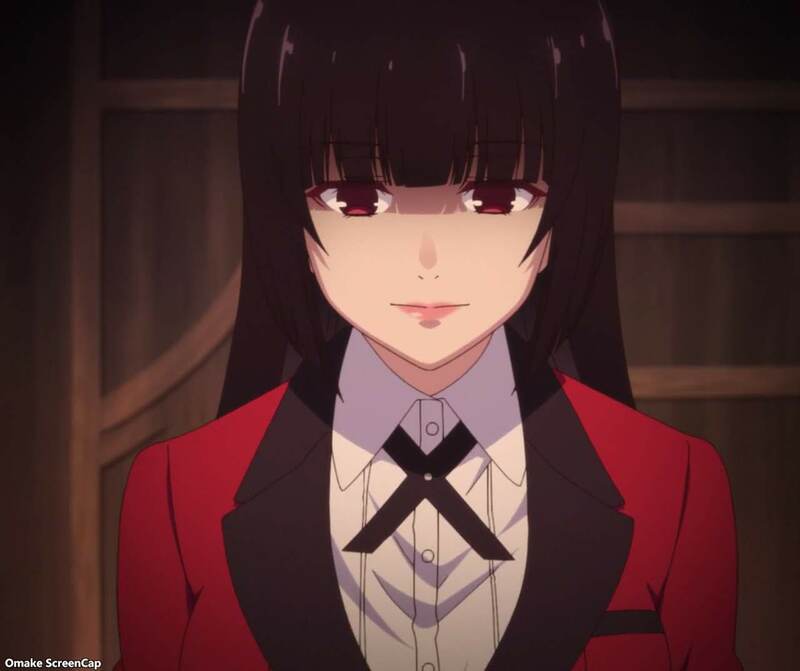 I don't mind seeing Yumeko strut around again, or try to kiss Mary on the mouth. More, please! Who did you use for subs?